You lot are in for a treat today! 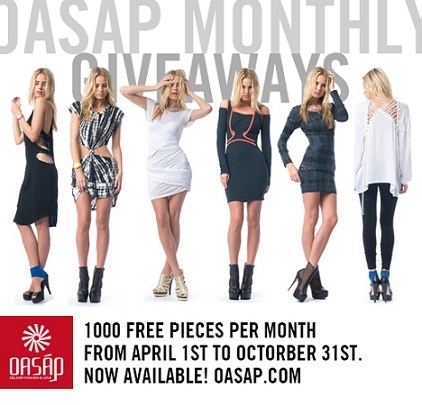 I’ve teamed up with Oasap to giveaway some of their clothes to my lovely readers! I absolutely adore Oasap’s clothes. They are all complete bargains and always on trend!! I especially love all their designer dupes, check them out online!! Here are the gorgeous clothes you could win..
To enter, all you have to do is fill in the form below. You must be following my blog and be registered to Oasap. Please remember to leave some way of contacting you in the comments too! This giveaway ends on the 10th May. Good Luck!